AWWWW what a Beautiful shaker Miss Brigit and love your adorable cupcake...too cute!! You really, REALLY came up with so many clever and creative ideas using Miss Emma's goodies. Love the colors and papers too!! YOU ROCK!! 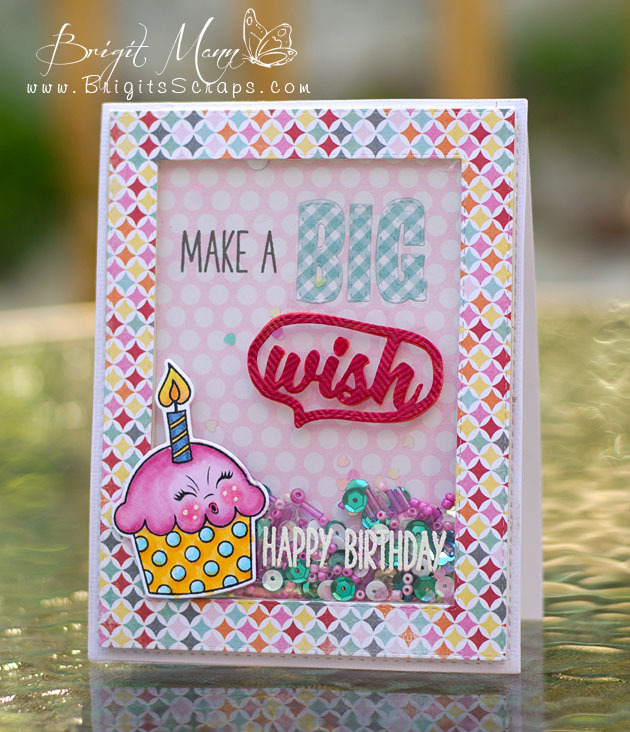 Love the Peachy Face on the cupcake and the mix of shakes in your card. Great coloring on your adorable birthday card. This is just adorable, Brigit! Such a fun shaker!